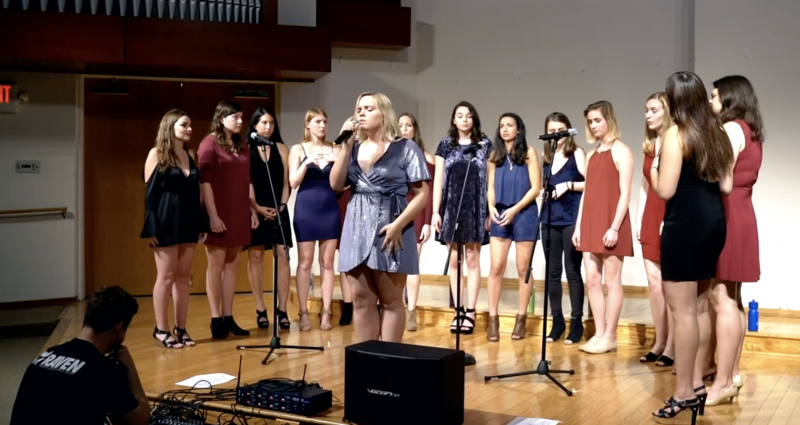 #WCW: Tulane University Ladies Acappella Will Captivate You With Their Gorgeous Rendition Of "I Can't Make You Love Me"
It can be the decider between a GOOD performance and a phenomenal one. We've heard many covers of Bonnie Raitt's 1991 hit song "I Can't Make You Love" and most do well at capturing the heart of the song. Very few have the ability to floor you, stopping you dead in your tracks, causing you to question what the song is actually making you feel. But in this precise moment, we're caught up in our emotions after listening to one of the most beautiful covers of the song we've ever heard, performed by none other than Tulane University Ladies Acappella (TULA). In less than four minutes, the all-female vocal band has caused us to look at the song with a new perspective. The group's magnificent cover is breathtaking. From the opening layering, filled with beautiful harmonies, the listener knows that they are in for something good. And then TULA's lead enters and the real heartbreak begins. This is because soloist Cassidy Oberleitner exudes a poise and finesse that convinces you that pain is real and can linger. If you've never felt the pain that comes with heartbreak, just listen to Oberleitner's soul-crushing lead. You will no doubt believe that it is a real thing by the song's conclusion. TULA has struck gold with this magnificent performance and at the video's conclusion, you'll no doubt agree that the cheering and adulations from the audience are well-earned. Enjoy today's #WCW, we certainly did.